Ghawar is the largest and most prolific oil field in the world. Yet, no digital geological models or synthetic seismic data of this important field are publicly available for testing algorithms to image, analyze, and understand its complex and interesting attributes. 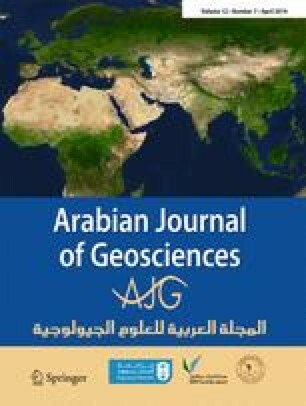 We construct a 2D viscoelastic model of the Ghawar field and calculate a corresponding multi-component synthetic seismic data set. The P-wave velocities and densities of the entire stratigraphic column from pre-Cambrian basement to present-day sediments were compiled from public sources. The S-wave velocities were calculated from the P-wave velocities using empirical VS–VP relations established from well logs. An empirical formula was also used to estimate the P-wave and S-wave quality factors from the P-wave and S-wave velocities, respectively. Vertical and horizontal components of viscoelastic seismic shot records were generated using a finite-difference algorithm accurate to the 4th order in space and 2nd order in time. We share the models and seismic data sets publicly hoping that this will motivate interested researchers to test their research ideas, which in turn will help advance the leading edge in hydrocarbon exploration seismology. Finally, we encourage researchers, who will use the models and data sets, to contribute to the geoscience community by sharing their results publicly as well. We thank KACST and KFUPM for their support. This work was funded by MAARIFAH—King Abdulaziz City for Science and Technology (KACST)—through the Science & Technology Unit at King Fahd University of Petroleum & Minerals (KFUPM)—the Kingdom of Saudi Arabia, award number TIC-CCS-1.